Lenovo Vibe P1 With 5000 mAh Now On Sale At 13999 Pesos! 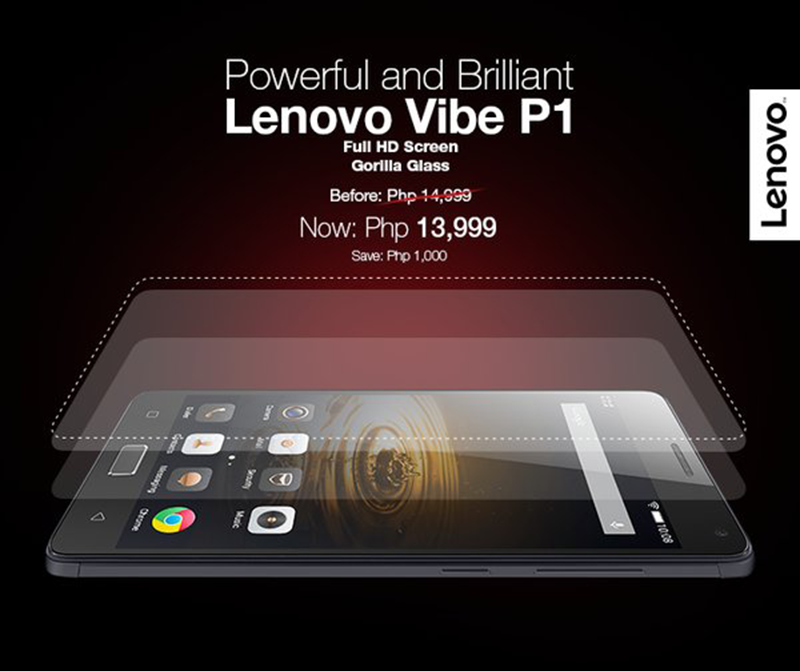 Home / lenovo / mobile / news / Lenovo Vibe P1 With 5000 mAh Now On Sale At 13999 Pesos! Lenovo's Vibe P1 is one of the devices that you should get if you care about very long battery life without compromising much in specs. The good news is Lenovo downs the price of this one by slashing 1,000 Pesos off. Aside from it's huge 5,000 mAh battery capacity that can last for at least 2 days and solid full metal frame, this phone also has decent specs for the price. It runs with Snapdragon 615 chip, has 2 GB RAM, 13 MP rear camera, 5 MP selfie camera and LTE connecitivity. While I would like it better if the discount is bigger, at 13,999 Pesos, this phone is a good deal.